Lady Gaga gave Rolling Stone an advance preview of four songs from her upcoming album “Born This Way” an hour before the first show of the final leg of her Monster Ball tour in Atlantic City. Though Gaga’s people were quick to point out that these were not the final mixes, the tracks certainly sounded like polished, finished recordings. Here’s a track-by-track rundown of what we heard backstage, as well as what she played from the new record in concert. This one sounds crazy in print — it’s a massive power ballad with heavy club beats that features Clarence Clemons of the E Street Band wailing on his saxophone (Clemons also plays on “Hair”) — but somehow it all seems totally natural when you actually hear it. There’s an element of cheesiness to it, but it’s totally captivating and incredibly catchy. If any of these new Gaga tunes demands to be a big fat hit, this is it. The inclusion of Clemons is an inspired touch that amplifies the song’s Eighties stadium rock vibe, but his actual performance is amazing and ranks among the best of his career. “Hair” is another inspirational song in the mold of “Born This Way,” but it’s a bit weirder, mixing the yearning romantic melodrama of Pat Benetar’s “We Belong” with the hard industrial metal edge of Broken-era Nine Inch Nails. The lyrics are essentially about embracing one’s hairstyle as the ultimate expression of their identity, climaxing with Gaga triumphantly declaring “I am my hair!” in its huge sing along chorus. An anthem for hair salons everywhere. Gaga didn’t share the studio version of this theatrical rock ballad, but she did perform it in her concert later in the evening. This one has been part of her Monster Ball setlist for months now, and at this point it’s already a crowd-pleasing showstopper. Assuming that the album recording will have more or less the same piano-centric arrangement, “You and I” will provide a necessary break from the high energy beats on the other tracks. Watch her performance of the song from “The Today Show” back in July below. This is the Number One single in the country, so you’ve probably heard this one by now. This was the first time Gaga has played the song in concert, but it’s already the ideal conclusion to her show, ending the night with a giddy communal celebration of personal empowerment and self-acceptance. 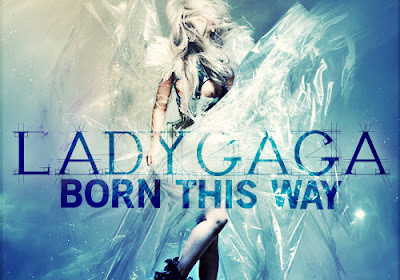 Watch new video performance “Born This Way”here.